Friends of Wholefoods is now gathering signatures for an official petition to call a mass student meeting, in addition to the online petition at change.org. A Student General Meeting (SGM) is the highest decision making body of the Monash Student Association (apart from a referendum). It has the constitutional power overrule the Monash Student Council (MSC) and the MSA’s Executive; the current predominant decision making bodies. This means that any decision made in this forum is legally and constitutionally binding on the MSA’s Executive. Unlike the MSC, each student has a vote at an SGM, which ensures direct participation and direct democracy in the MSA. Unfortunately, the last SGM was held 7 years ago in 2005. Traditionally SGMs have played a larger role in the MSA, and they were a vital decision making mechanism which made the MSA accountable. Sign the SGM petition and come to the SGM and regain student control over Wholefoods. 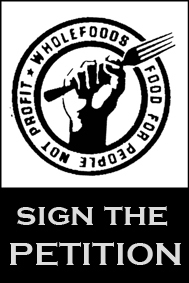 The SGM petition can be found every lunch-time at Wholefoods. This motion rejuvenates Wholefoods through reversing changes by the Monash Student Council Executive that have restricted volunteering and collective management. Further, the motion puts a layer of protection around future decisions by calling for structural changes that give Wholefoods more autonomy. The motion achieves this vision by asking for a referendum to make Wholefoods a division of the MSA, which have their own autonomous governance and constitution. 5. call a referendum for the 2012 MSA election period to make Wholefoods a division of the MSA. 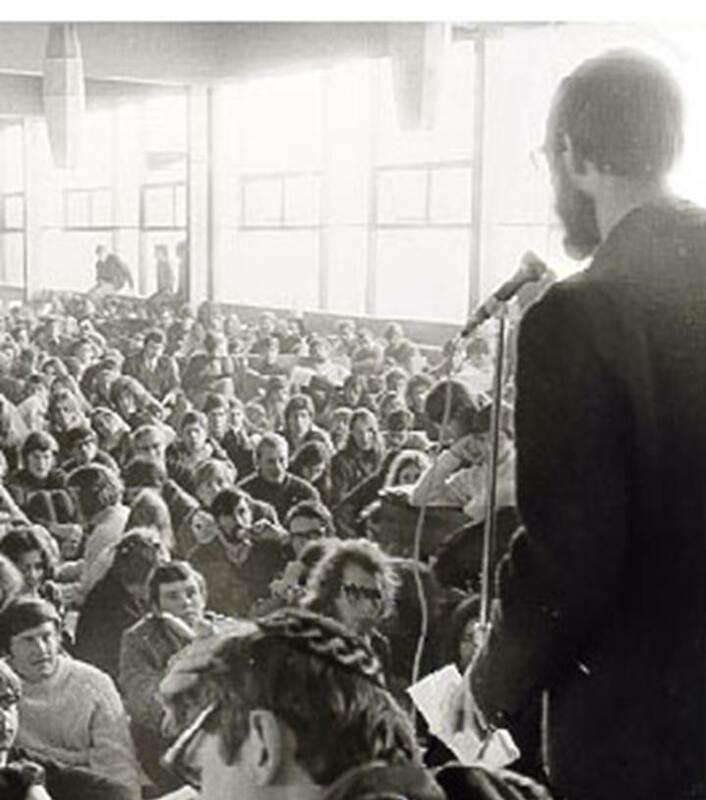 Image: A Student General Meeting, 1969. 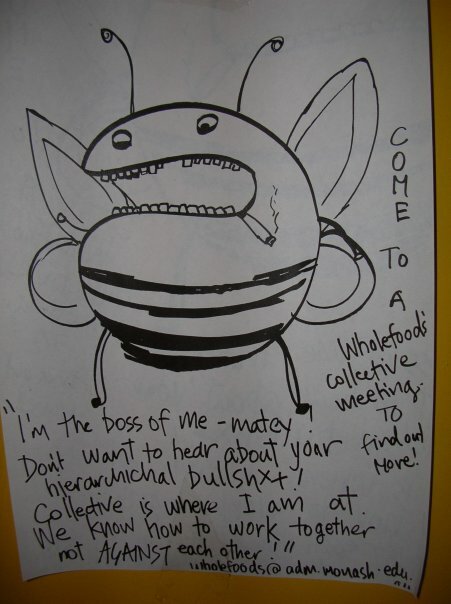 Wholefoods Collective poster from the 2007 Publicity Coordinator, a role that has since been abolished because the MSA already has someone who works on publicity. Or something. From the Tent City protests of 1998. Students camped outside the admin building over the deregulation of Higher Education. The security camera mounted high near the ponds? A monument erected by the university dedicated to the time and energy put into future students by an active left wing student body.